Prior to going to law school Jonathan spent 10 years in the financial services industry where he was in charge of a $40+ million portfolio with offices throughout Florida and southern Georgia. He was responsible for staffing decisions as well as EEOC complaints, and unemployment issues. It was here that he learned the issues of employment law from the employer perspective. 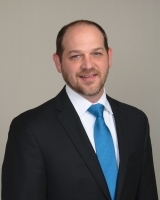 In law school, Jonathan worked full time in Brevard County as a Judicial Assistant to Judge David Silverman. He was a member of the Trial Team at Barry University where he earned Book Awards in Criminal Law, Professional Responsibility and Water Law. It was in law school where his love of the courtroom developed. After passing the bar exam Jonathan began work as a prosecutor in the 18th Judical Circuit. He prosecuted thousands of cases from petit thefts and criminal traffic matters to punishable by life felonies. He earned a reputation of being firm but fair. In 2016, he was given the T. Mitchell Barlow Award for Professionalism by the Brevard County Bar Association. ​ LET HIM PUT HIS EXPERIENCE TO WORK FOR YOU!